EghtesadOnline: Iran’s world ranking in the Logistic Performance Index improved 32 places within two years as, with the score of 2.85, the country was positioned at 64th place out of a total of 160 countries reviewed by the World Bank in its latest 2018 report. LPI is being released by the World Bank every two years since 2012. Measuring performance on trade logistics within a country, the index is an interactive benchmarking tool to help countries identify the challenges and opportunities they face in undertaking trade logistics and what they can do to improve their performance. The index is based on a worldwide survey of operators on the ground (global freight forwarders and express carriers), providing feedback on the logistics “friendliness” of the countries in which they operate and those with which they trade. The biennial report analyzes countries based on six indicators, namely the efficiency of customs and border management clearance, the quality of trade and transport-related infrastructure, the ease of arranging competitively priced international shipments, the competence and quality of logistics services, the ability to track and trace consignments, and the frequency with which shipments reach consignees within the scheduled or expected delivery time, Financial Tribune reported. Of all these indicators, Iran’s tracking indicator ranked the lowest at 85th (it scored 2.77) from among the surveyed countries and its timeline indicator ranked highest at 60th with a score of 3.36. Infrastructure’s indicator came in 63rd (with a score of 2.77), international shipment ranked 79th with a score of 2.76 and logistic quality and competence stood at 62nd place with a score of 2.84. 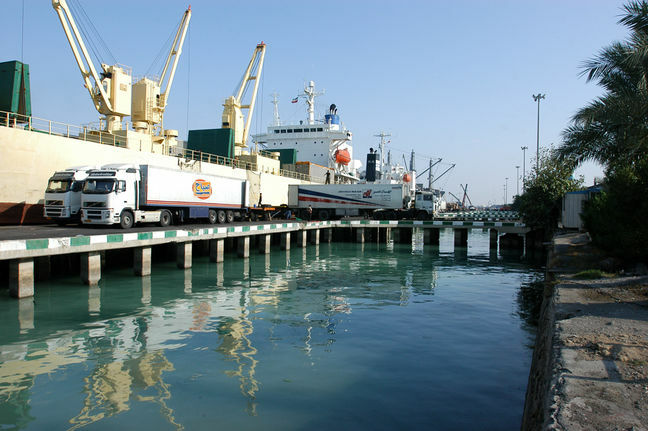 The indicator of Iran’s customs’ efficiency and border management clearance scored 2.63 to rank 71st. In 2016, Iran ranked 110th in customs, 72nd in infrastructure, 88th in international shipment, 82nd in logistics quality and competence, 111th in tracking and 116th in timeliness. Germany has retained its top position in 2018 for the third time in a row with a score of 4.20, while Sweden moved up from third to second position in the ranking. Belgium also performed well as it climbed three positions, moving from sixth to third place in the LPI report. While Austria moved from seventh place to fourth place, Japan stood at fifth place in LPI 2018, compared to 12th place in the LPI 2016 report. The UK, which faces an exit from the European Union in March 2019, fell one place to ninth in 2018, with a score of 3.99. The US was in 14th place, while Hong Kong and China combined were at 12th place. The overall group composition among the top-performing upper middle-income economies has changed marginally, with China, Thailand and South Africa leading the group, and Croatia and Bulgaria improved their LPI ranking. Among lower middle-income countries, large economies such as India and Indonesia and emerging economies such as Vietnam stand out as top performers. Most of these countries either have access to the sea or are located close to major transportation hubs. The bottom 10 countries in the ranking are mostly low-income and lower middle-income countries in Africa or isolated areas. They are Afghanistan, Angola, Burundi, Niger, Sierra Leone and Eritrea. These are either fragile economies affected by armed conflict, natural disasters and political unrest or landlocked countries naturally challenged by geography or economies of scale in connecting to global supply chains, the World Bank reported. Currently, both developed and developing countries are facing a shortage of logistics professionals. Developed countries need more blue-collar workers, such as truck drivers, while developing countries seek more managerial-level workers.